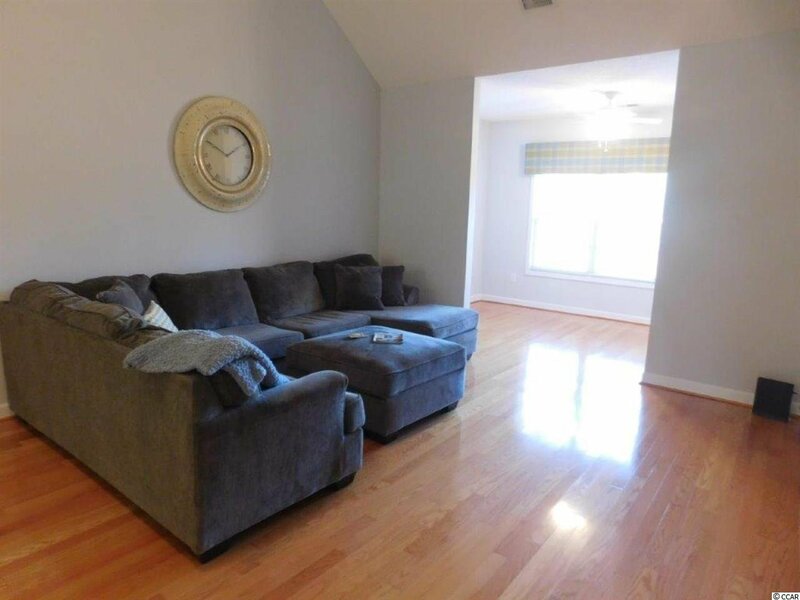 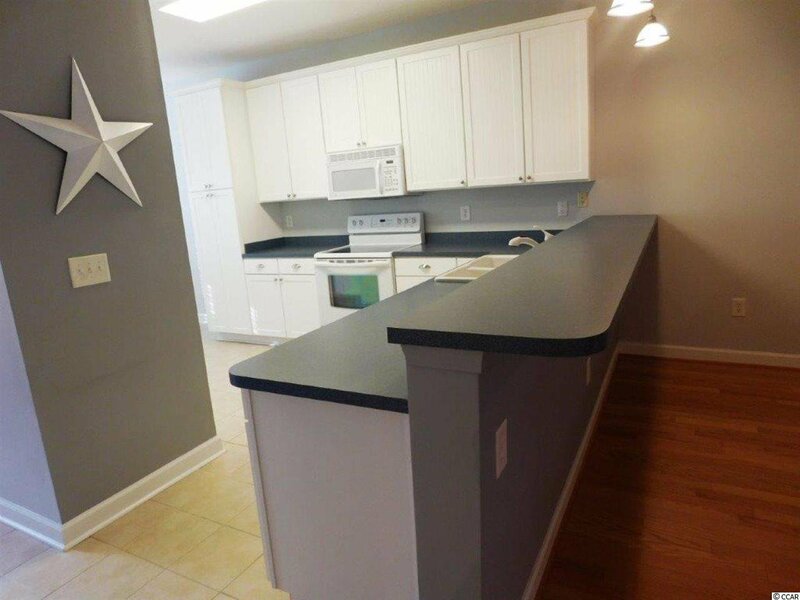 Gorgeous, upgraded 3 BR/ 2.5 BA / 1 car garage Townhouse located in Townhouse of Long Bay in desirable Long Bay. 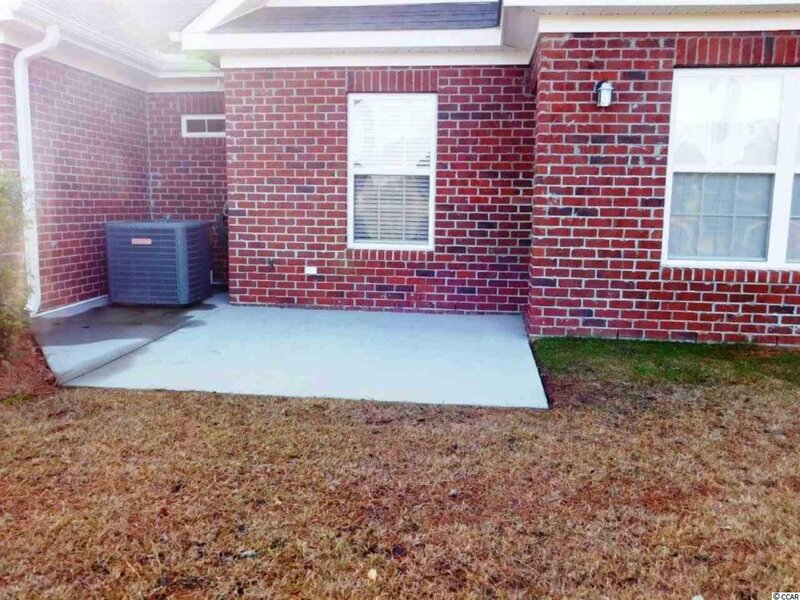 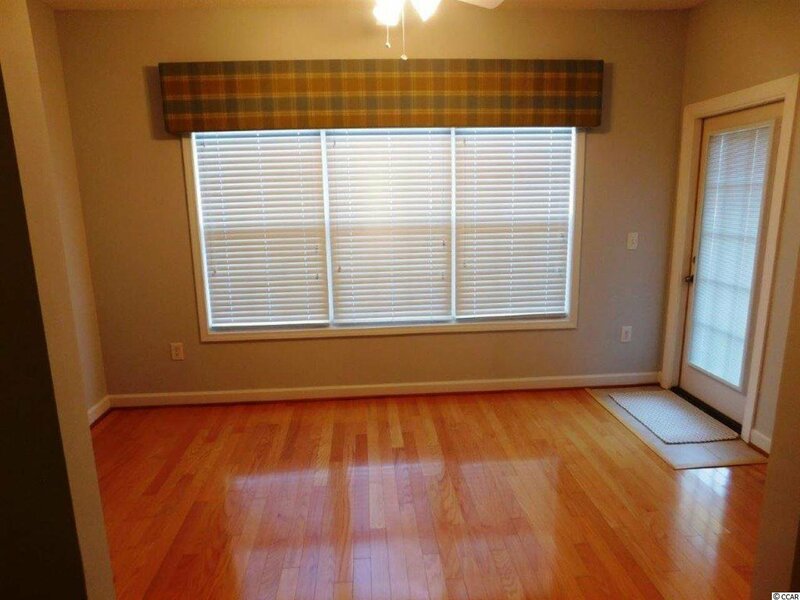 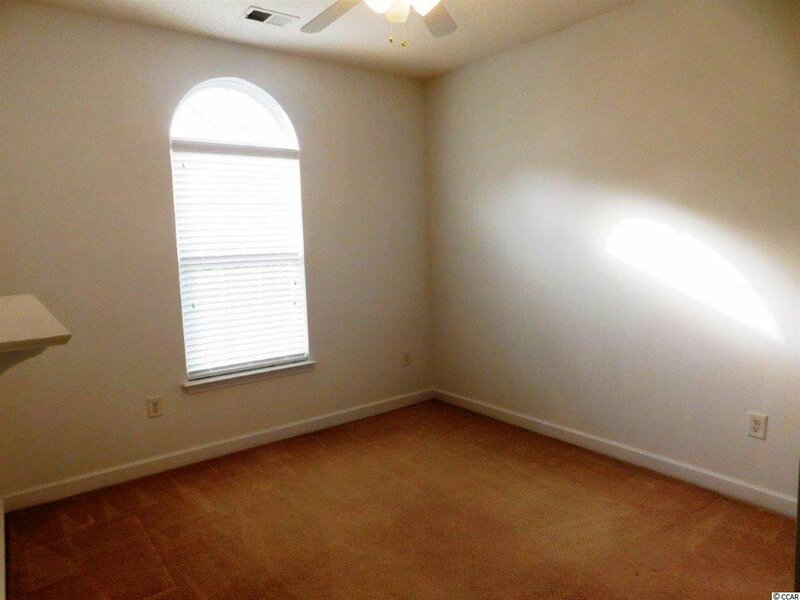 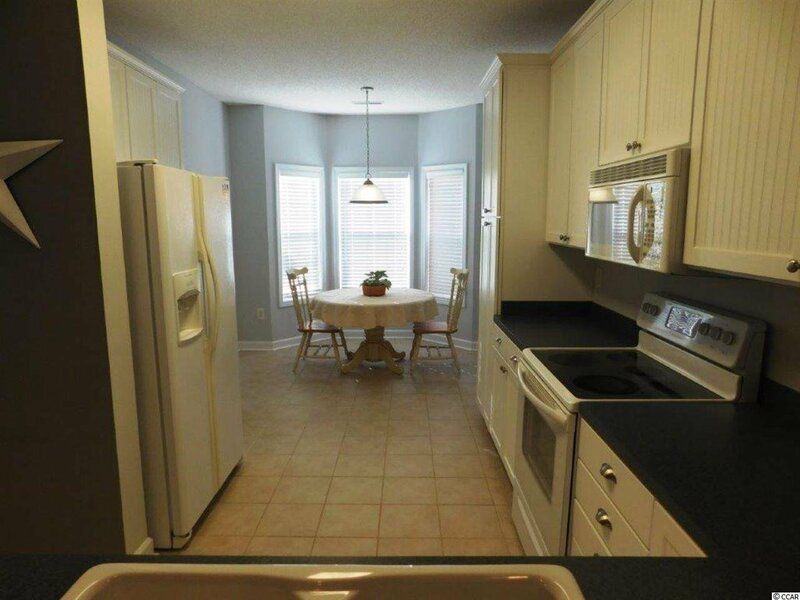 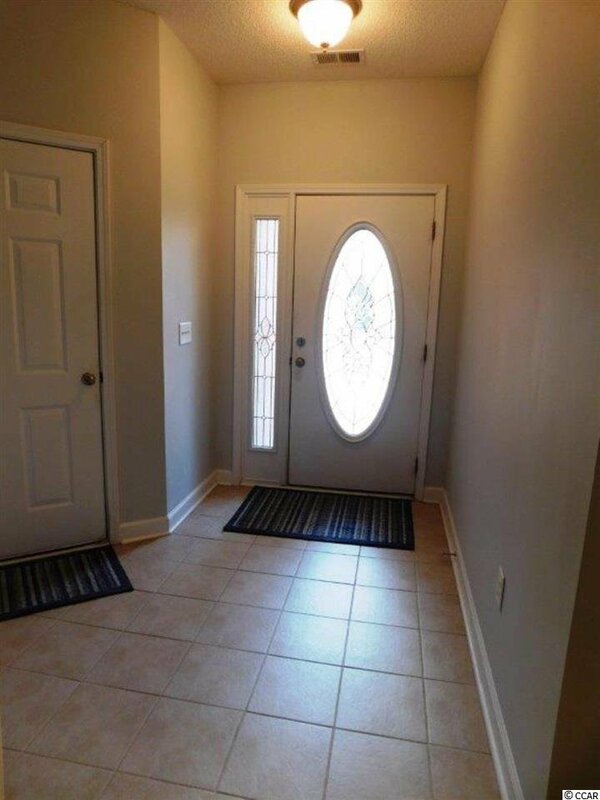 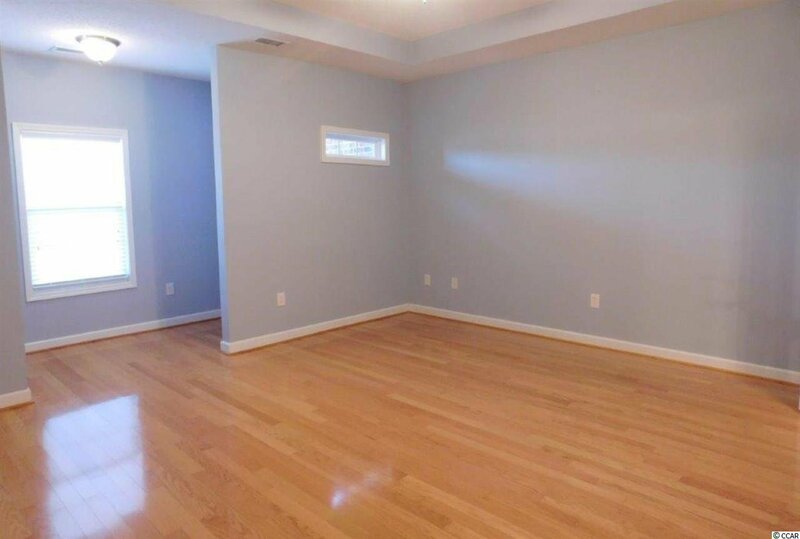 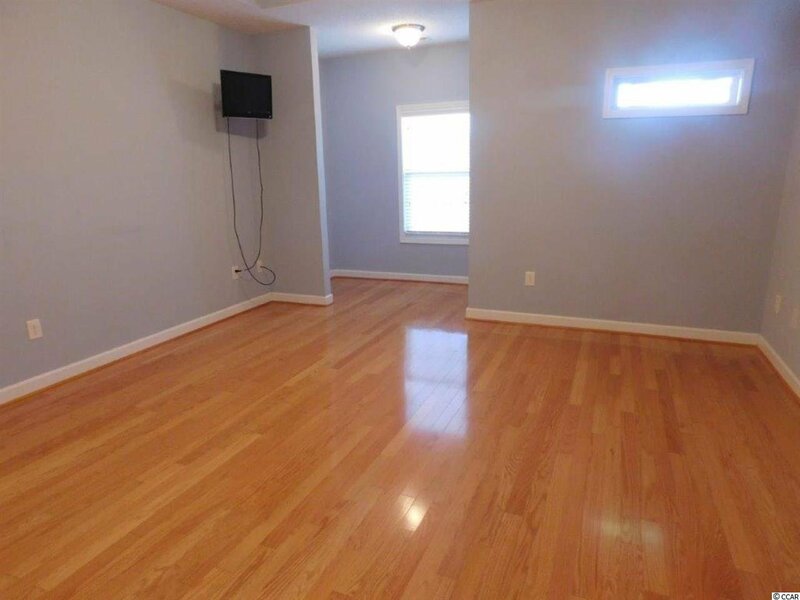 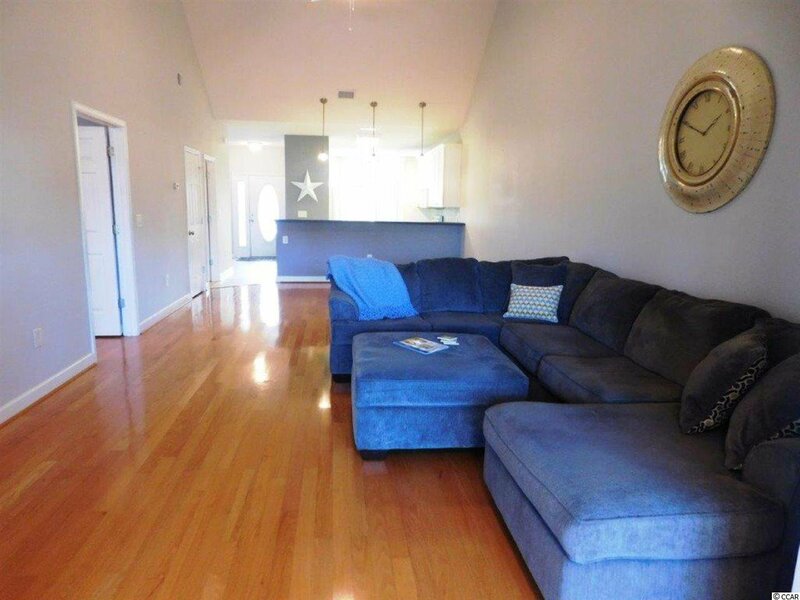 Walk into a tiled foyer which leads to a tiled kitchen/breakfast area and half bath. 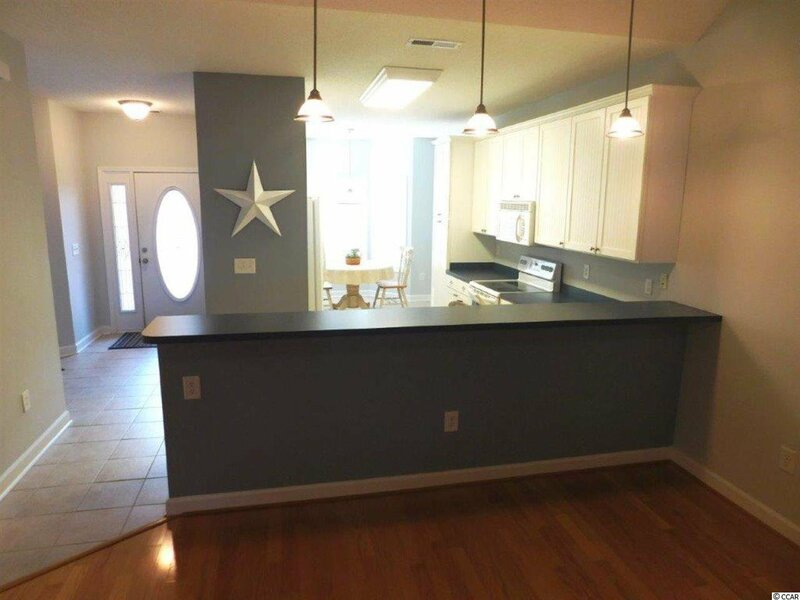 Kitchen is large and features a spacious breakfast bar perfect for up to 5 bar stools; cabinets are white bead board/ cottage style 46" and matching pantry; huge breakfast area boasting bay window; all appliances: side-by-side, range, microwave, and dishwasher; and totally open to family room and Carolina room. 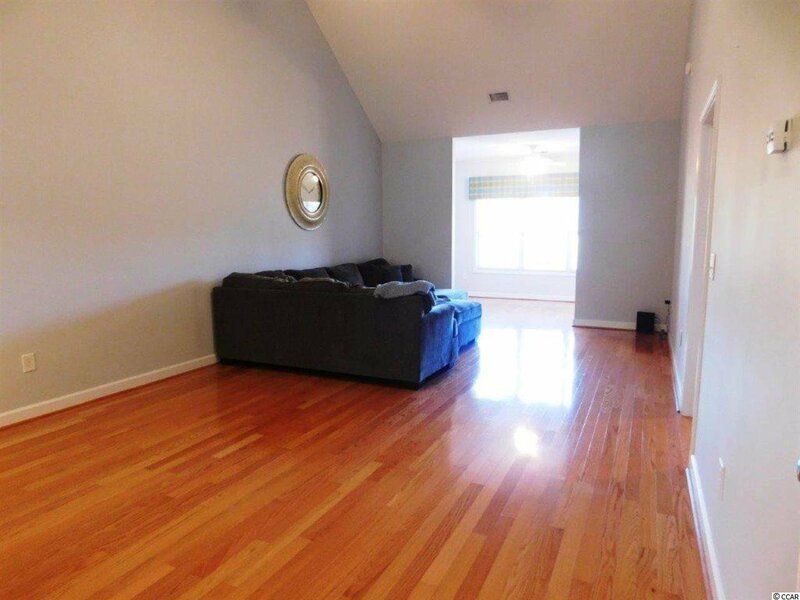 Family room has soaring cathedral ceilings, gorgeous hardwood floors & awesome views of the 4th green of the Long Bay Golf Club. 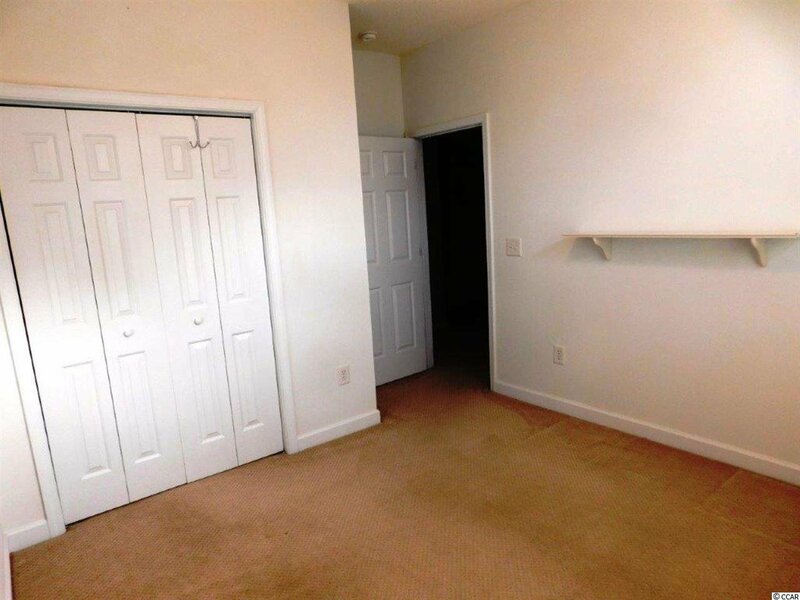 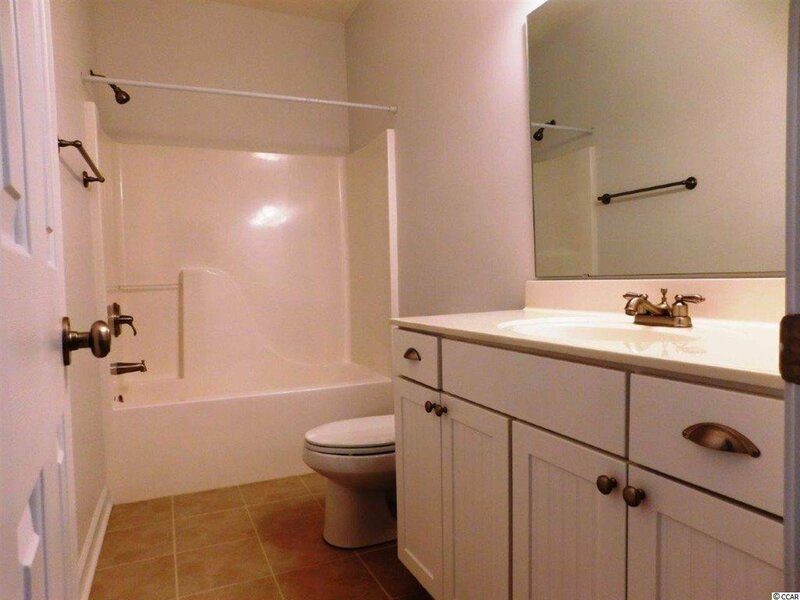 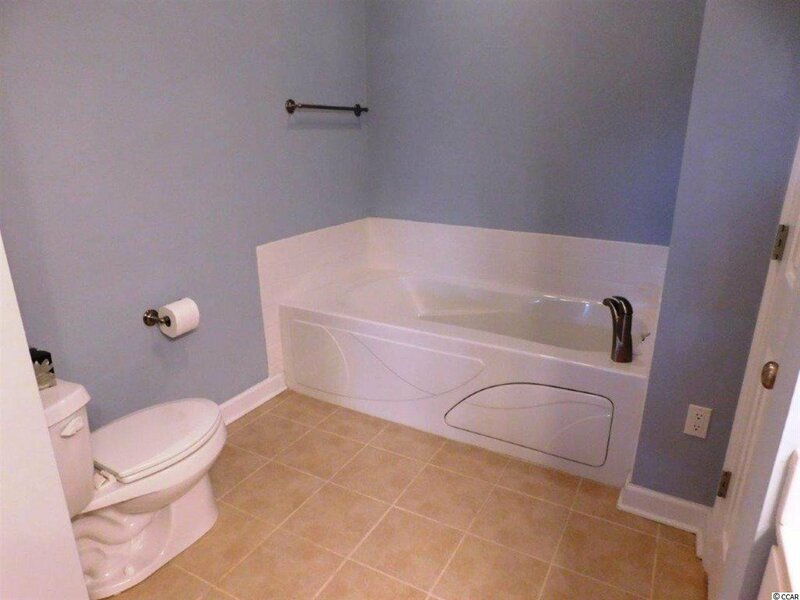 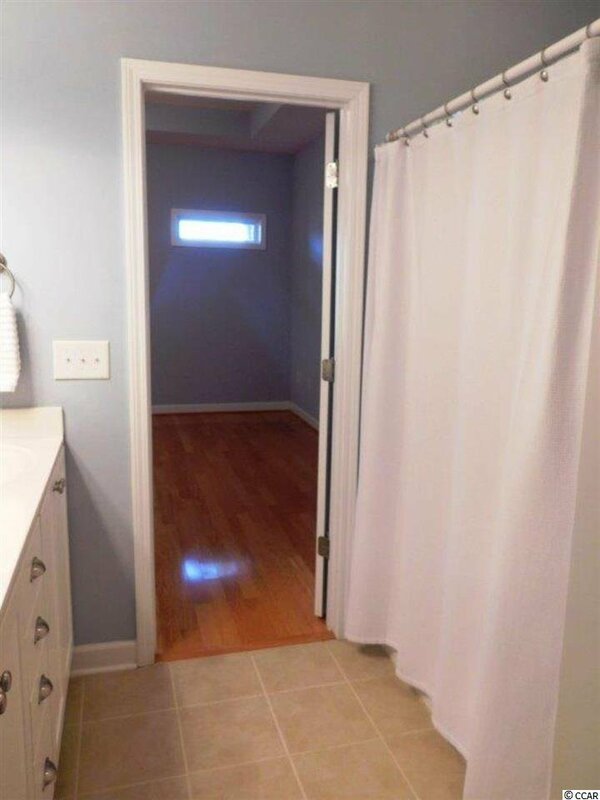 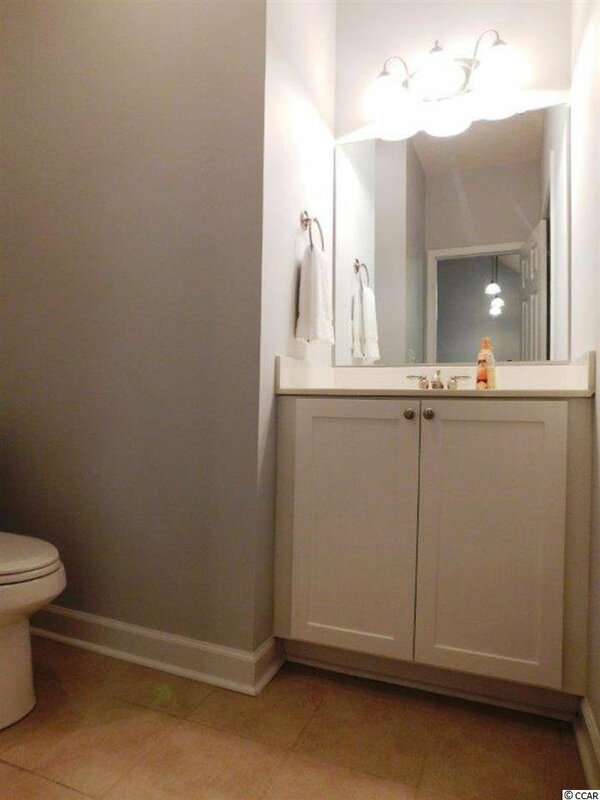 Half bath with utility area is located on main level for your and your quests convenience. 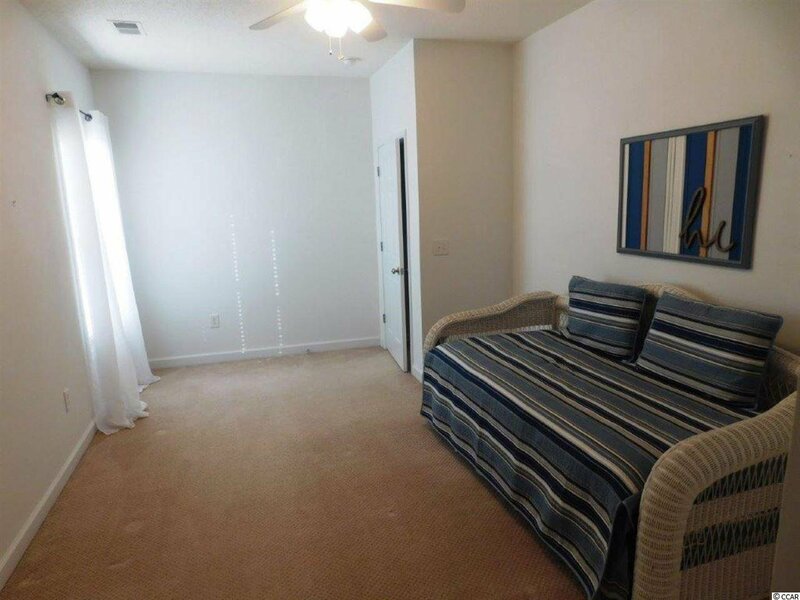 Master bedroom is something to be proud of, huge bedroom overlooking sitting area/ office, hardwood floors, window over looking 4th green, large walk-in closet and a phenomenal master bath boasting double sinks, cottage style cabinets, large linen closet, tub, walk-in shower and lovely tiled floor. 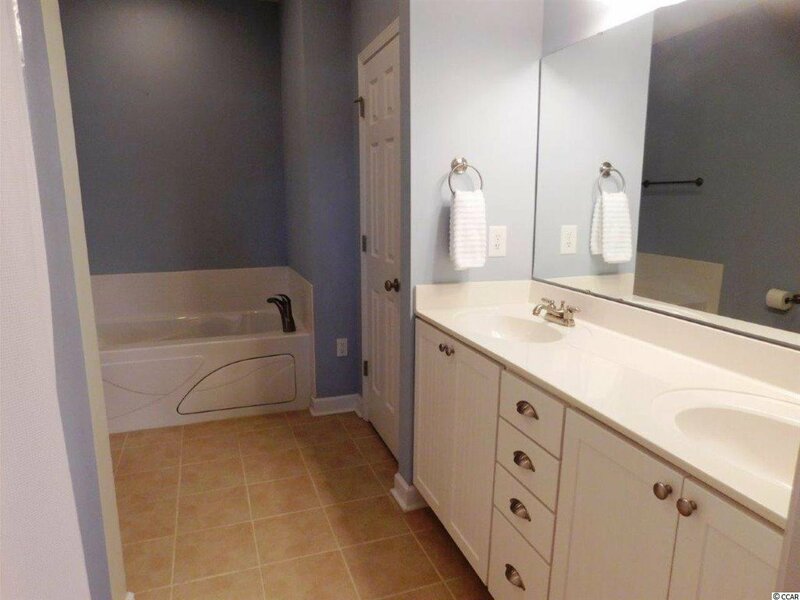 Venture upstairs and find 2 large (13 x 10, 16 x 11) other bedrooms with full bath upstairs, featuring tiled floor, vanity, and shower/tub. 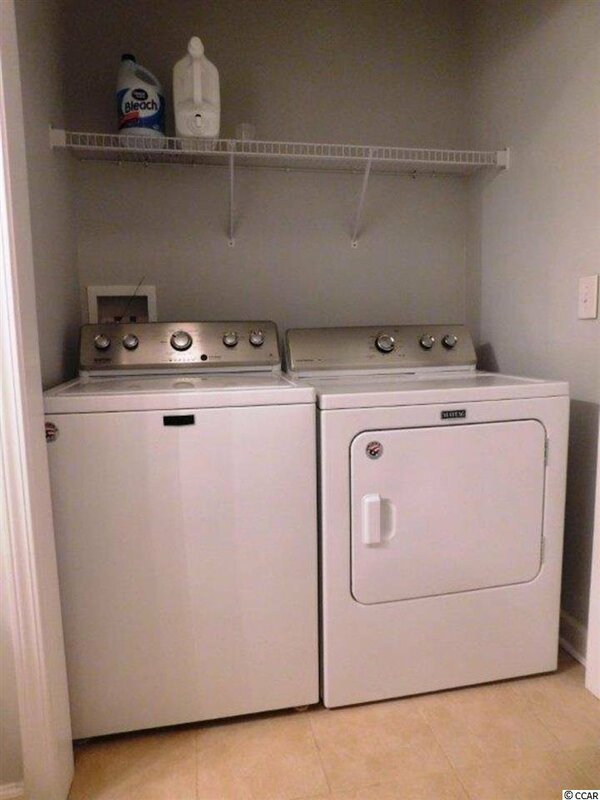 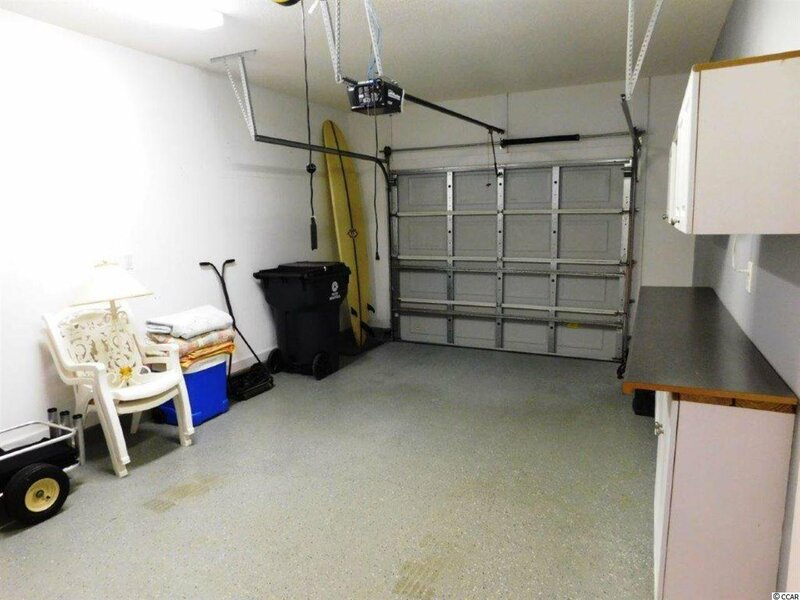 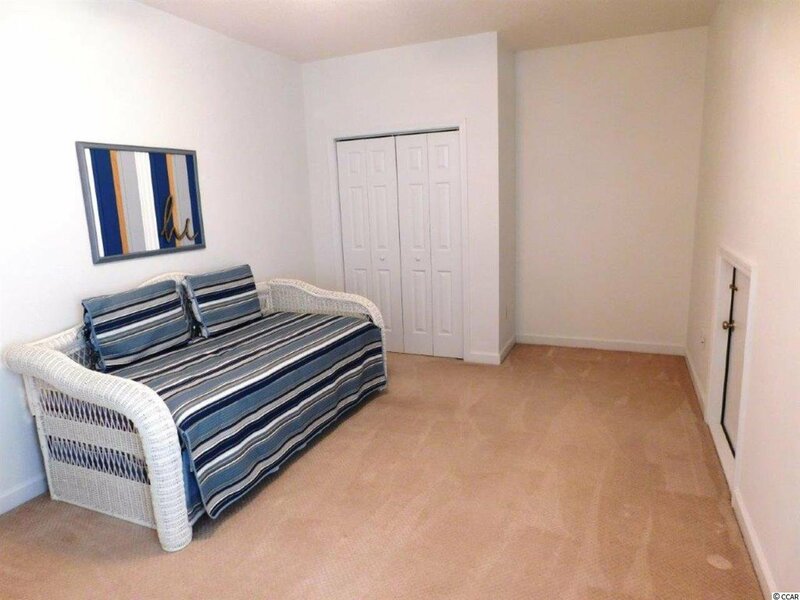 There's also another room (12.9 x 13.5) that current owners are using for storage room. 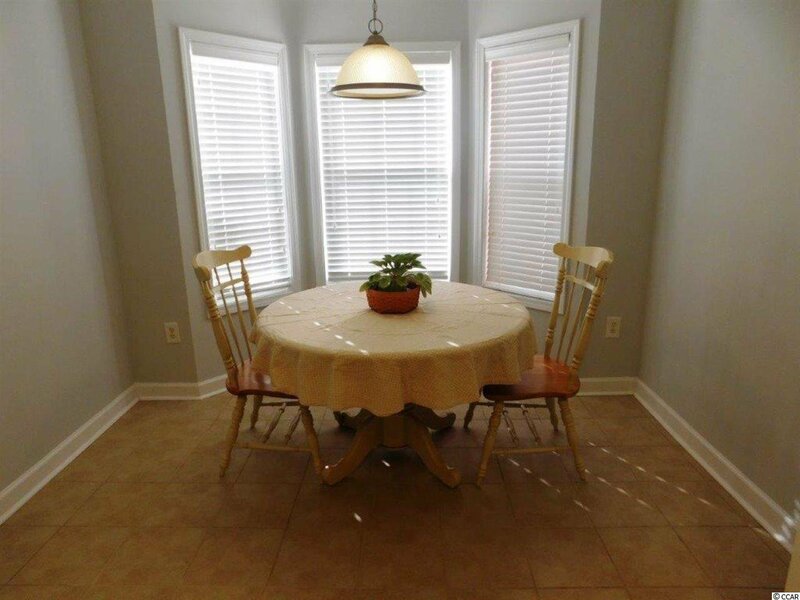 Off the Carolina Room is a patio for outside enjoyment & entertaining. 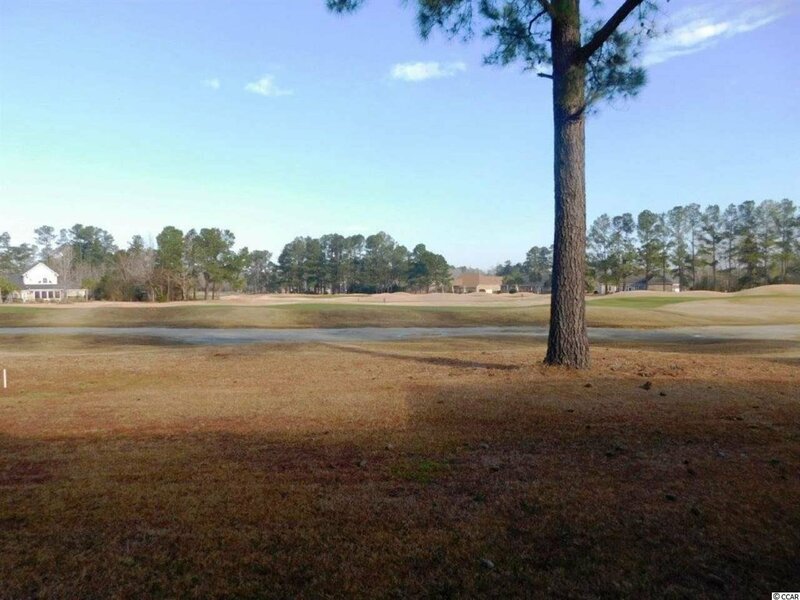 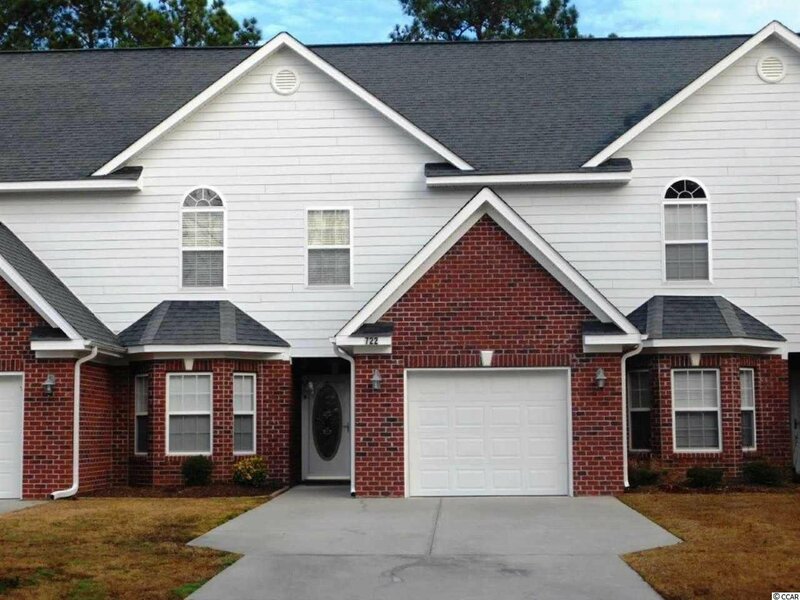 Enjoy absolutely beautiful community and only minutes from North Myrtle Beach and all it has to offer, (shopping golf, restaurants, ocean, Intracoastal Waterway. 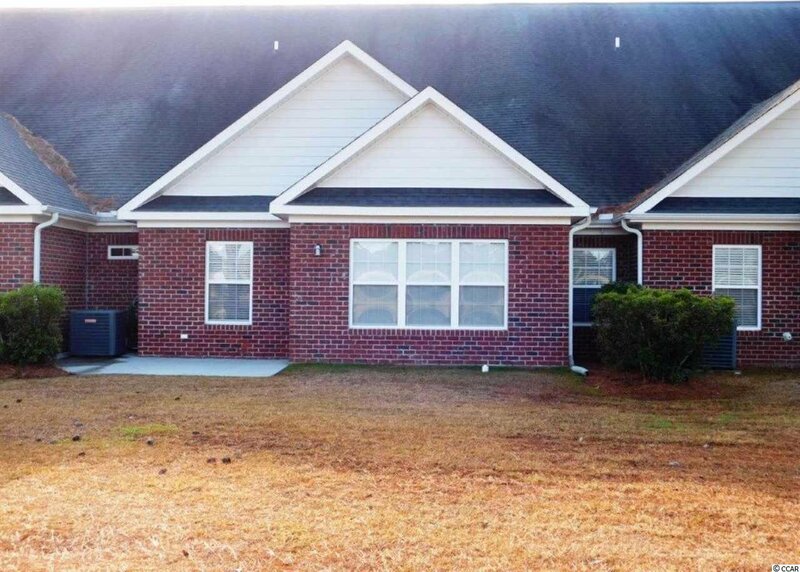 See this one on impeccable condition - you'll want to call it yours.